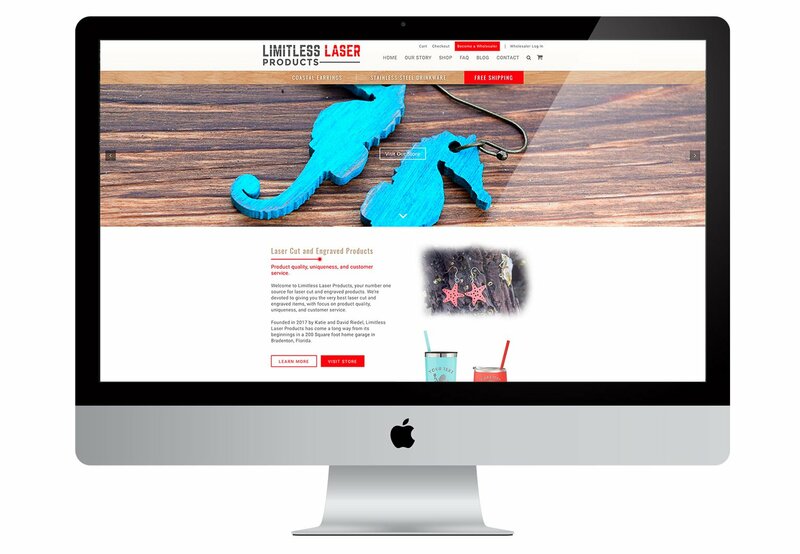 Limitless Laser Products requested a store that could display products but for pricing to be available to wholesalers only. To become a wholesaler, a user signs up and a custom notification message is sent to the user. The website owner approves the user, thereby making them a Member, after which the Member has access to pricing upon logging in. Pricing changes based on the number of products purchased. The pricing is updated live as the user selects the quantity from a drop-down. This encourages people to buy in bulk. The site uses red to stress important areas. ‘Free Shipping’ and ‘Become a Wholesaler’ are red buttons to draw attention. Overall, the design is simple and focused on drawing users to the inventory, making wholesaler signup always a click away both on desktop and mobile.